First off, let’s acknowledge that name, Sheba Hart: sounds like a Blaxploitation-loving private dancer, no? 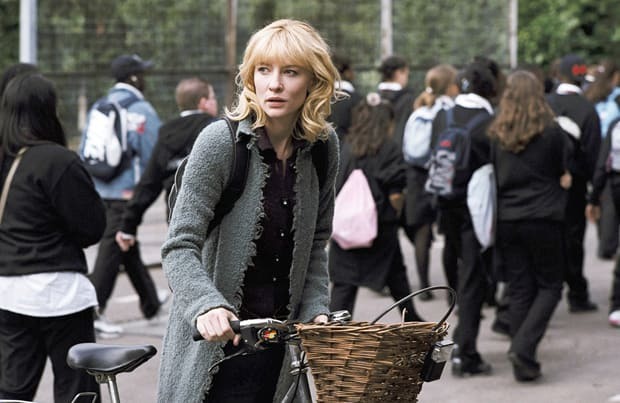 On the contrary, Cate Blanchett’s radiant Sheba is actually a married school teacher who falls in love with a 15-year-old student, much to the chagrin of one of her elder colleagues (Judi Dench). Let’s have a round of applause for the kid, though; pulling a statuesque beauty of Blanchett’s caliber is something to brag endlessly about in the cafeteria. Unfortunately, all of our high school teachers looked more like Judi Dench. Sorry, Dame!